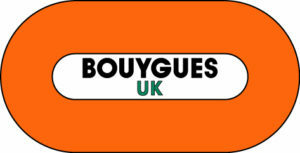 All of the below information comes directly from job reviews written by Bouygues UK employees based on 32 reviews. Deadline Date: Please be aware that we have two waves to our application process - 4/11/2018 & 3/02/2019. Please apply as soon as possible to be in with a chance for your ideal role. Be yourself, it's not all about the technical knowledge. Be honest but emphasise your competence and abilities. Motivation and time is required to join this company. Motivation and experience to be presented fairly. Be aware that this position requires consistent personal involvement. Show that a building site is where you want to work. Be positive about accepting new challenges. Be prepared to work the hours, and research outside your office hours to give yourself the breadth of knowledge you will need. Demonstrate some fundamental understanding of the construction industry and project management. Be yourself. Different projects have different needs so it is best just to relax and not take it to heart if you don't get a role. If you are good at what you do then there will be a role for you out there. Show competence from previous education/experience. Show enthusiasm and interest that sets you apart from others. Show attributes that display your character. Show how you are prepared for the transition from education to full-time employment. Sell yourself in the application phase: CV & cover letter. Be prepared to prove that you want the job and are ready for it. Know what you want, be forward thinking. 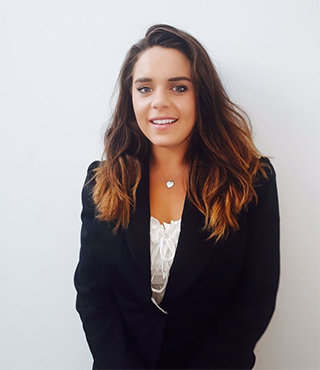 Try and do a placement year in the role that you want to do rather than go through university and apply for a job as you will be able to understand whether this is the right or wrong profession. Learn about the company, current projects, achievements etc. Going to the website is always a starter for ten. To research the company beforehand and to be extremely motivated and dynamic. Update your CV and put down any industry related work experience that you have. Put down if you have played in any successful sports teams as I know everyone does this but it still proves to the person reading the CV that you are a team player etc. Make your CV stand out is some way and make sure it is on one side of A4, think about the layout and how best you can represent yourself. Create some model answer of questions which you are likely to be asked in the interview so that you can go into the interview feeling calm and collected. -Why do you want to work in this industry? -Why do you think you should get this job? -Explain a situation where you have gone above and beyond the call of duty? Be flexible in your location of work, Bouygues is huge and there are many opportunities. Process driven background would be useful as well as a construction related degree. Have some interesting topics to discuss, especially to do with concrete as it is a company speciality. In your CV, you should show that you are able to take initiatives and to work within a team. Value your previous work experience - even if it was not in the company. Give the good point of your internship and show what you have learnt during them. In particular for my role it states coming from a design background would be a great help. However as a design manager/co-ordinator you will not be designing buildings etc, so if you have done a degree in Architecture, your fancy drawing skills will be wasted. However working in Design Management offers more scope within the business to diversify into different roles and the benefits are much better than an Architect also. Make sure your portfolio is well presented and I would definitely rehearse what to say for each drawing you show etc. Also make sure to be yourself, yes you maybe brilliant, but if the employer thinks you might not fit into the office environment then all that brilliance is wasted. So always be yourself and make sure you practise and research the company, you can't go much wrong. Be specific in what you are looking for. Be extremely motivated and dynamic and do not be afraid of long hours and responsibilities. Apply if you are highly motivated and up for a challenge. Motivation and like to learn. Put forward activities or commitment which are not academic i.e. sports/University societies/student job or internships. Be prepared for technical questions. Be prepared to be thrown into the deep end early on, but once you get your head above the water you will see that it was a very effective way of building up your skill set. Be open minded with your career developments and paths. Never just assume you will enjoy one aspect of construction. Be positive, confident, approachable. Make sure you adopt a can do attitude. Be ready to be thrown into the deep end. You will either sink or swim. Show wide range of transferable skills. Willingness to put the effort/hours in. Be willing to try new things. Make sure you are confident and don't be scared to ask a question.